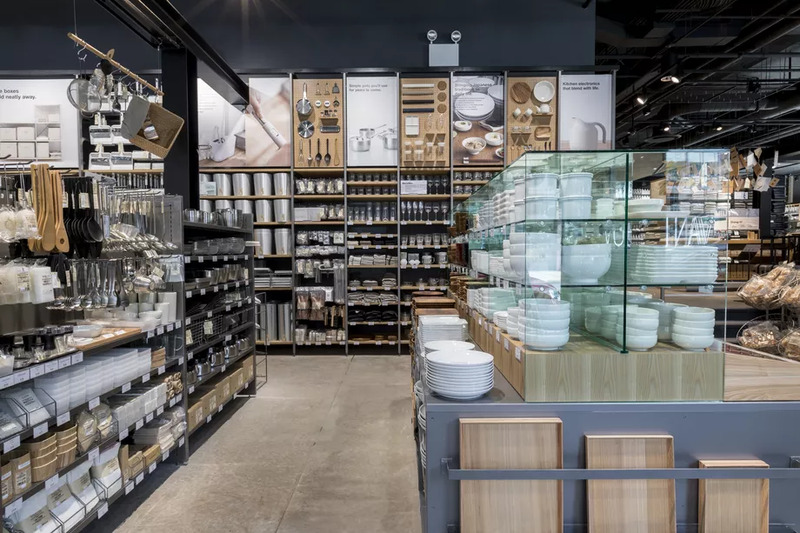 Muji, a Japanese retail company, has been slowly entering the United States from the coasts, with stores in Massachusetts, New York, New Jersey, and California. From across the Ocean, the company has brought its sense of frugalness, selling “no-brand” items like this gel pen that has no proper name, logo, or any such marking, aside from a “0.38” tip-size indicator located on the top of the cap. This Muji gel pen is lightweight, thick-barreled, and made of a soft plastic that makes it fairly comfortable to grip. On the other hand, the plastic body feels fairly cheap, and even though the cap secures and posts well, it comes with a very flimsy clip. Overall, the style is similar to the Sakura Gelly Roll and the Baoke Simple. But one very good feature of this Muji gel pen is its ink. It flows out clean, and it barely smears. It also produces a satisfyingly dark black, and, considering its 0.38mm tip size, it flows out fairly smooth. This pen is certainly not the best gel you’ll find – I’d consider it middle of the pack. But if you’re a fan of fine-tipped gel pens and happen across a Muji store, it’d be worth your while grab a couple. They are fairly inexpensive, and, if nothing else, it’s different enough from the typical gel pen found in American stores to at least make it interesting. Here’s a review from Alice Wang at Medium. She liked the pen overall, but said it gave her trouble with it leaving ink smudges on the opposite page of her notebooks. She also said it didn’t work with a highlighter. 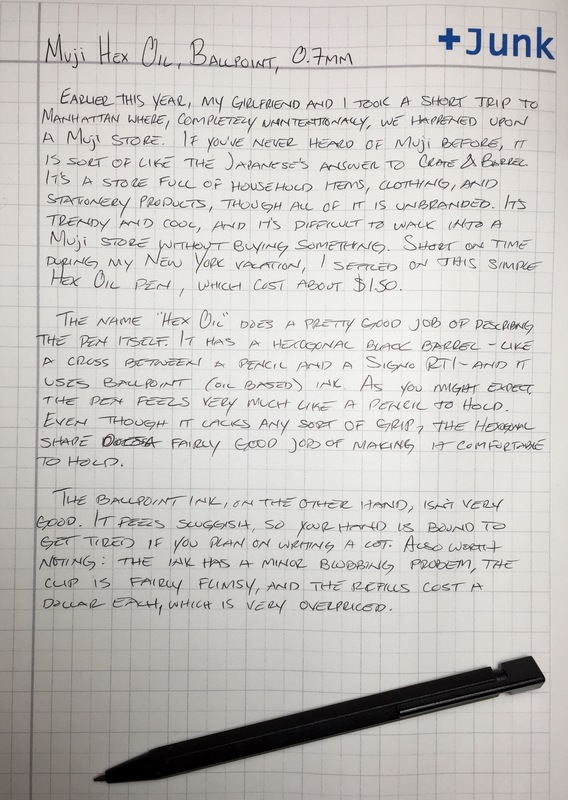 She prefers the Pilot Hi-Tec-C.
Here’s a small, but positive blurb from Pens! Paper! Pencils! 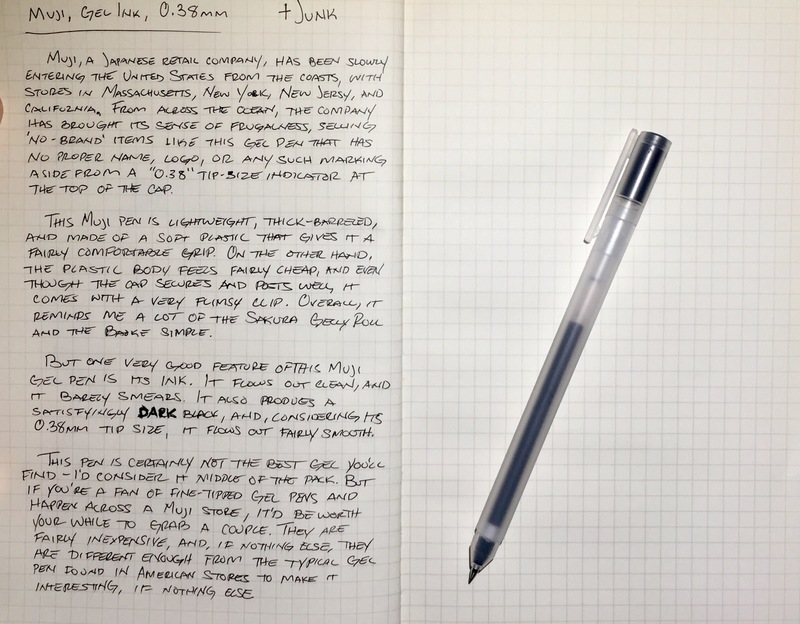 and and old-school review from The Pen Addict. And if you’re interested in trying out different colors, here’s a 9-color pack review.